Are you searching for a lovable pet to add to your family? While all pets have their pros and cons, some are much better suited to families with young kids. Whether you’re seeking a fluffy, friendly animal or a quiet, low-maintenance pet, we’re here to help. Check out our list of the best pets for kids to find the perfect companion for your family. If you choose the right pet, your whole family can enjoy caring for, spoiling, and simply loving this new addition to your clan. Guinea pigs make great pets, especially for elementary-aged kids who want to learn about the responsibilities of caring for a pet. What makes guinea pigs unique? Their big personalities. Some are playful while others are more timid, so it’s good to spend a little time at the pet store to see what each animal is like before selecting one to bring home. Another great quality about guinea pigs is that they live much longer than other pets in the rodent family. When cared for properly, guinea pigs can live for up to seven years. Compare that to gerbils or hamsters, which typically live for about two to three years. Just like dogs or cats, guinea pigs need some playtime – they even purr when you pet them! For a loveable yet low-maintenance pet, you can’t go wrong with a guinea pig. Dogs are one of the most lovable and adoring pets you can add to your family. What makes dogs one of the best pets for younger kids is that they are loyal animals who adapt quickly to their humans, especially when adopted as puppies. Plus, there are always lovable older dogs in need of a good home. This means that even if you don’t have the time to commit to potty training and raising a puppy, there are many adult dogs, just as friendly and fun-loving, who would make a perfect pet for your family. To find a dog that suits your family well, consider his or her temperament, energy level, and the amount of care required. Some dog breeds are better suited to families with young kids. For example, Golden Retrievers and Labrador Retrievers are known for their kind, gentle, and loyal natures. You might also consider a Poodle, Irish Setter, Newfoundland, Collie, Beagle, Bull Terrier, or Bull Dog. And don’t forget about mutts! A mixed breed dog can bring together the benefits of several different breeds. 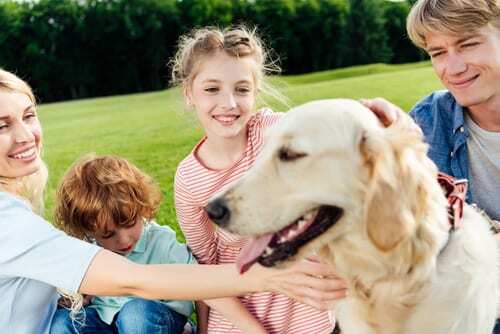 While dogs require more time and responsibility than most pets, they bring unparalleled joy to numerous families and are definitely one of the most rewarding pets for kids and adults alike. Because cats are fairly independent animals, they make wonderful pets for families new to pet ownership. While cats do tend to enjoy their space, they are typically friendly, loveable, and easygoing. What makes cats one of the best pets for kids is that they don’t require as much potty training as dogs. Since cats have a natural instinct to use a litter box, you won’t have to spend much time teaching them where to go potty. Beyond that, giving your child the duty of feeding your cat or scooping the litter box every day is a great and easy way to teach them the responsibility of owning and caring for a pet. Most cats also require daily playtime, making them wonderful pets for kids who want to pet, play, and interact with their furry new family member. Fish are one of the best pets for kids of any age. They make especially great pets if anyone in your family suffers from allergies or if you simply prefer a low-maintenance pet. Fish are also very quiet, so they’re great for parents who don’t want to add to their household’s noise level or who simply wish to avoid waking a sleeping baby or toddler. Fish are mesmerizing, delightful, and require little commitment. Your children can help you feed the fish each day and scrub away the algae from time to time. No matter what your age, you can’t deny that home aquariums are beautiful. With so many different types of fish available, your family could adopt an entire “family” of colorful fish! If you’ve decided on the perfect pet to add to your family, stop by your local Petsway. We offer a wide selection of pets for purchase (including fish, guinea pigs, birds, and reptiles), and we also offer everything you need to keep your pet happy and healthy. 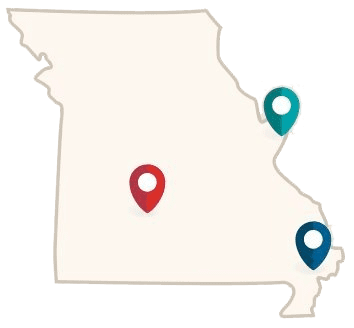 If you have any questions or would like to see what types of pets we offer, feel free to stop by your local Petsway, give us a call, or message us.